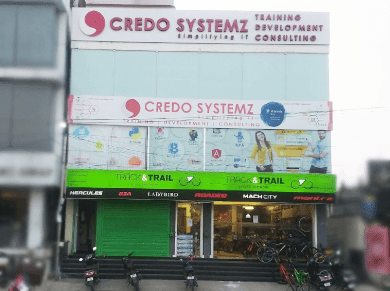 DevOps training in Chennai at Credo Systemz is framed to enhance the skill set of an individual in DevOps. Development and Operations (DevOps) software culture is the fast-growing platform in the Information Technology field which makes both the development and operations easier. Our DevOps certification course in Chennai guides you to be a professional DevOps developer by learning all the important concepts such as DevOps source code management tool, DevOps automation tools, DevOps with Kubernetes, DevOps container management tool, Puppet Configuration Management tool and important DevOps tools such as Ansible, Nagios and Chef. 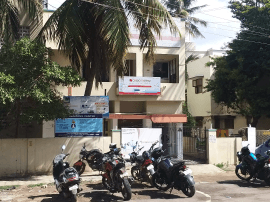 The goal of our DevOps Training Institute in Chennai is to enhance and upgrade the skill set of the beginner level developer into a professional DevOps Engineer. On successfully completing this DevOps training in Chennai with placement assistance will guide to get placed in top IT firms in India. You can download the DevOps course content PDF below which has been framed by the experts in the industry. 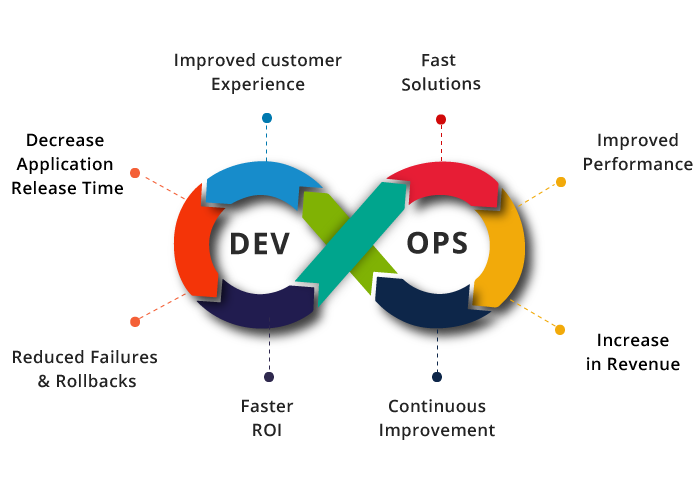 DevOps is currently the popular software culture which is defined as the mixing of task performed by application development and systems operation teams. DevOps culture is used to strategically look the whole software development from integration, testing the application, releasing it to deployment and also its management.The main goal of DevOps is to increase the deployment frequency, faster time in developing the software application, reduces the gap between development and operation, and lowers the failure rate, limited recovery time. The software application developed using this approach is good in efficiency, security and also easy maintaining the operation processes. Joining the DevOps course in Chennai will help you to learn the subject from scratch professionally. DevOps course content specially designed by experts to up-skill the trainee as professional DevOps Engineer. Most importantly our DevOps training in Chennai covers all the top used DevOps tools. On the positive side, the complete DevOps Certification course has live projects and real-time case studies. The main benefit of this DevOps training program is the session will start from complete scratch. Especially DevOps training at Credo Systemz will be handled by the top experts in the industry. Overall the main highlight of our DevOps course is the session will be like working in a live project. On completing this DevOps training via classroom, online and corporate an individual will gain the overall skillset required to be a professional DevOps engineer. Develop your soft skill – The DevOps engineer should act as a bridge between the development and operation team to reach the common goal. Strong knowledge in handling different DevOps tools and technologies. Should be clear in working with the infrastructure automation tools. Knowledge in automation testing is also an advantage to a DevOps engineer to be successful. Our best DevOps training in Chennai course provides you the complete advance level DevOps training program from absolute scratch. Real-time Practicals Create a ubuntu machine using vagrant Shared folders Install Apache and port forward. SECTION 7 – Docker Commands and Best Practices. Detailed instructor led sessions to help you become a proficient Expert in DevOps. Build a DevOps professional portfolio by working on hands on assignments and projects. Lifetime access to downloadable DevOps course materials, interview questions and project resources. Our DevOps course syllabus is framed by more than 8+ years of experienced real-time DevOps developers with live projects. Learning DevOps from scratch with practical guides you to be a professional DevOps developer and from that, you can easily get many numbers of job opportunities. The recent report says DevOps developer job is listed down in the 2018 highest paying tech jobs.This DevOps training in Chennai is specially designed by experts in the industry to meet the expectations of the recruiter’s while applying for a job interview. Our placement team will help you from the very beginning of the certification program like resume building, updating the latest job opportunities, assisting you in personal skill development and more. Use this Top 100 DevOps Interview Questions and Answers to crack the interview easily!! Do you also provide DevOps online training in Chennai? Will you allow me to sit in your on-going session? You can book a free demo session with our trainer, In that we will make you sit in the existing batch where you can understand the way of teaching of the trainer, discuss with our previous batch candidates to get their own feedback about our DevOps training and also you can have a counseling session with our placement team members. Is this DevOps training program also has placement assistance? We are providing 100% placement assistance with this DevOps course, Credo Systemz have peculiar placement team which is overviewed by the HR’s from top organizations. They will guide you from the beginning of the training program in resume building, conducting weekly assessment, separate Whatsapp group; latest job mails every week and mock interview at the end of the training. Our trainers will also guide you in getting the official certification of the technology. What is the pay scale of a DevOps developer? According to the latest report of Payscale the average salary of a DevOps engineer is 618,282INRalso the highest number of job opportunities availablefor candidates from 1 to 4 years denoted as 63%. What are the tools I will learn in this DevOps training program? What are the combo courses available with DevOps?